Bring your "Sisters" where ever you go. Perfect for all the essentials. Little Sister, a wristlet, is 11" wide x 2" deep x 6" tall. Big Sister, a messenger bag, is 12" wide x 2" deep x 10" tall. 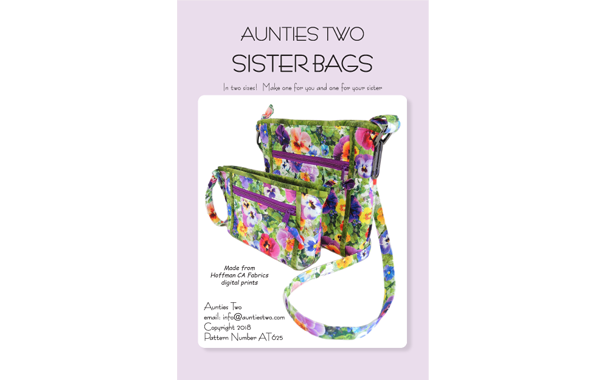 The Sisters have two zippered pockets on the outside and two open top pockets on the inside.